Melissa McCarthy’s career is still on the rise but already groundbreaking, and not just because of her box office clout. It’s the characters she plays: strong, original and unlikely women who triumph against stiff odds. So does McCarthy: though technically a co-star in a string of successful movies directed by Paul Feig, McCarthy emerges as the star of all of them. “The Heat” was supposed to be a comeback vehicle for Sandra Bullock, and we all know how that turned out. They called me a freak–do you think I let that break me?….No, I did not….I pulled myself up, I studied really hard….and now I work for the government. I have the highest possible security clearance….I know where all the nukes are and I know the codes….I have six houses. I bought an eighteen wheeler a couple of months ago, just because I could….You’re your problem, Annie, and you’re also your solution. Comic actresses have traditionally been of two types: physical (Lucille Ball, Carol Burnett) or cerebral (Lily Tomlin, Joan Rivers and everyone else who began in standup). But McCarthy is both: a fearless physical comedian and a whip-smart talker. It’s not surprising that her characters have traditionally male jobs–cop, intelligence officer–where their assertiveness and sharp minds are put to good use. 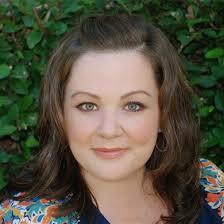 What’s surprising is there is now a Melissa McCarthy archtype in movies, a presumed loser who is in fact a superwoman. de rigueur. Even though she has been given comedic roles, she has shown evidence of dramatic chops as well in small vignettes in select films she’s done. I think given the correct role, she could pull off a dramatic turn. Hollywood, or better yet, independent filmmakers, give Ms. McCarthy that opportunity! You are currently reading The Importance of Melissa McCarthy at Under the Hollywood Sign.